Another congratulations to the American team for finishing first in the 17th Pan American Games in Toronto, Canada – and bringing home 265 medals, 103 of them the coveted gold. The games came to a close on Sunday July 26th and featured enthusiastic performances from great North American talent, including entertainment from Canada’s own Serena Ryder and U.S. acts such as Pitbull and Kanye West. Although I hate to admit it, as a Canadian, my competitive side always shows when Canada falls just behind the U.S in any games (including the Olympics) — and of course, especially those held in my home city. However, as I began to review scores across the board and realized who was winning first place, I couldn’t help but beam with pride as I began counting all the outstanding female athletes who raked in the gold medals this year, regardless of country, but especially those in the United States and Canada. The next generation of young women is here to show just how far passion, motivation and hard work will take you, a result that was extremely evident from both the medal-winners and those who bravely gave it their all. In a world where children and teens seem to struggle with keeping active and staying healthy, the Pan Am Games can be seen as a great influence among today’s youth, especially for young girls. The Pan Am Games brings about sporting categories you won’t see in any other games such as the Olympics, giving children with interest in these activities another push to get out there, continue improving their skills and to dream big. The women of the American and Canadian teams were a force this year and really won the crowds with their beautiful smiles and incredible talent, especially among the many kids and teens who were able to come out and cheer them on while on their summer school break. Watching these girls meet the finish line with so much passion for their sport, with muscular toned bodies, which aren’t often seen in the media, really helps put a healthy and positive image out there for young girls. Toronto also hosted the FIFA Women’s World Cup this past June, where the American team took on Japan in the final closing the games in gold, scoring a winning 5-2. It was another great achievement for the female athletic community of America and an inspirational message for America’s young girls, giving them real, passionate role models who work day and night to make their dreams come true, a great alternative to the influential women in the entertainment industry today. Today’s female athletes are here to inspire, and are raising standards and eliminating stereotypes as they continue to bring home gold and glory while representing their home countries. Posing as the new generation of female role models, you can feel the girl power coming from their performance and their presence in the media. Why are the Pan Am Games very special to North America? Because not only are they always geographically close to home, they represent the spirit of the Americas and the huge support given, especially in the U.S. and Canada, to each nation’s outstanding athletes. Although the final medal tally of 265 definitely looks good on America, the group that really deserves first place are the females who brought in 134 of them – i.e. just over half the total medals! The Canadian girls were also out to beat the boys, pulling in over 100 medals out of the 217 brought home, as well as Brazil, whose women athletes traveled the furthest — and came home smiling with 11 out of 41 gold medals, and 59 medals overall, out of their incredible 141. Even Cuba, placing fourth in the games, brought home 97 medals in total, with the women grabbing a bevy of 34, including 11 gold. 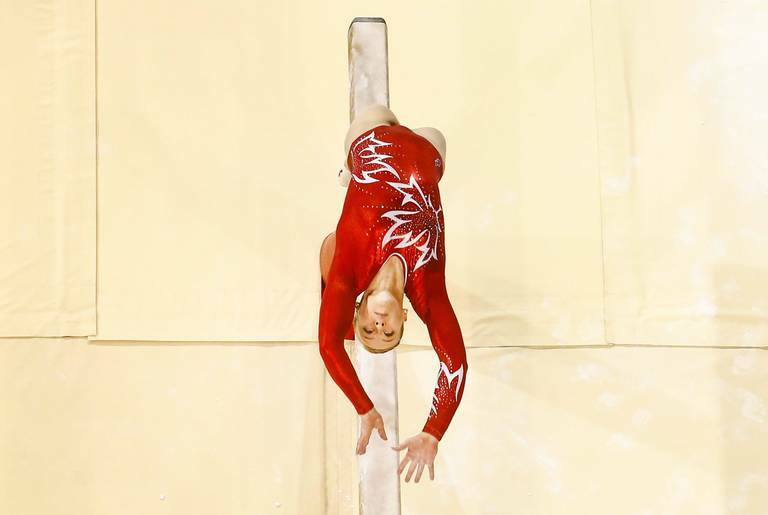 This year’s Pan Am Games was rocked with female multi-medalists as well. Ellie Black of Canada and Laura Zeng of the U.S. took home five gold each, while Jasmine Kerber brought America four silvers and one bronze, all under rhythmic gymnastics. In swimming, American girls Allison Schmitt, Kelsi Worrell and Katie Meili also brought home a handful, with Schmitt taking home four medals, and Meili and Worrell claiming three each. This year’s favorite athletes to watch featured America’s Natalie Coughlin, who brought in four medals for swimming (one gold, two silver and one bronze), and Canada’s Rosie MacLennan, who, as expected, brought in the gold for trampoline. Click here for a complete listing of the U.S. team medalists. Note: The 18th Pan/Para Pan American Games will be held in Lima, Peru from July 26th to August 11th, 2019. Also, stay tuned for the Para Pan American Games starting August 7th in Toronto. Tickets are available on the Pan Am/Parapan American Games website.